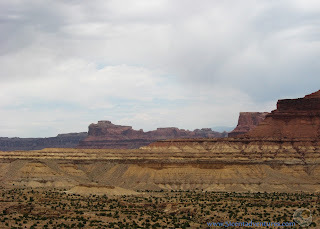 Description: The San Rafael Swell rises like a giant wrinkle on the earth's surface. The swell stretches over 100 miles in a north south line. The maze-like canyons and passages through the swell have been barriers to travel for centuries. Interstate 70 became the only paved road through the swell when it was built in the 1970's. The interstate allows travelers a glimpse into the wild landscape. But for those people with time and adventurous spirits the swell has many hidden treasures located along dirt roads. The swell is one of those rare places that offer amazing beauty without crowds of tourists. 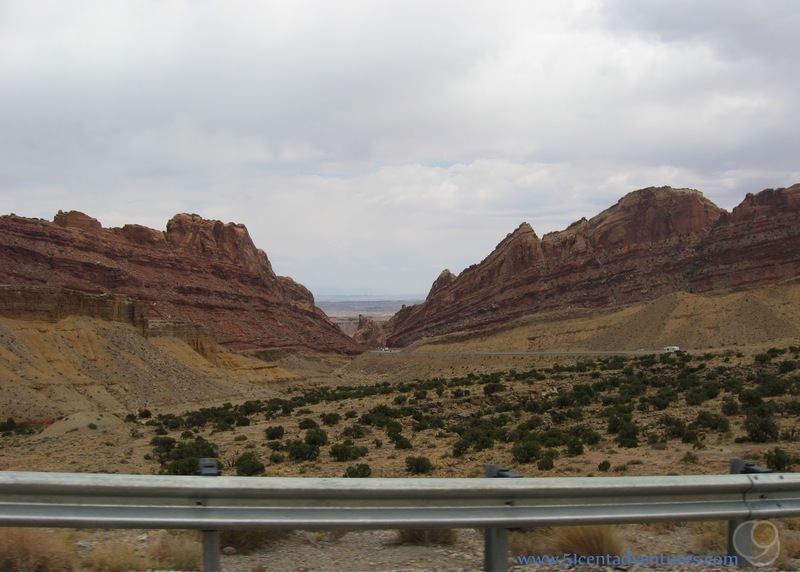 Location: The San Rafael Swell l is located in Emery County in Central Utah. It's borders stretch from roughly Price in the north to Capital Reef National Park in the south. It's east-west boundaries are between Green River and Castle Dale. There are several dirt roads that lead into the swell, but I-70 is the only paved road that goes through the whole swell. Cost: Most of the features within the swell are on public lands and have little or no fees. 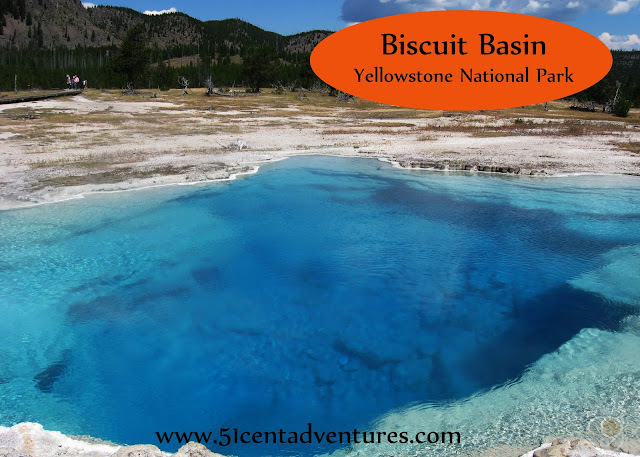 However, if you are unfamiliar with the area you may want to hire a guide or join a tour. Also keep in mind that there are no amenities located within the swell. You will want to make sure you have plenty of food, and water, and that you have enough of gas in your vehicle before you set out on any adventures. Operating Seasons and Hours: Open all year long, however the dirt roads will be unsafe during inclement weather. Other Reference Material: The San Rafael travel brochure by produced by Emery County is a great resource. I have also heard people recommend the book Canyoneering the San Rafael Swell, by Steve Allen. This post is going to be a little different than most of my posts. 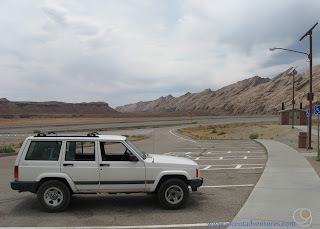 My husband and I didn't discover the wonders of the San Rafael Swell until two years after our Southern Utah Road trip. Even when we did discover the swell we didn't have much time to explore it. I made a mental note to make sure we came back to properly explored the swell one day. When I'd planned our Southern Utah Road Trip, I'd been completely unaware of the wonders within the San Rafael Swell. My plan was to visit as many state and national parks within the state of Utah as possible. But there aren't any state or national parks inside the swell. In fact, the swell wasn't even listed on my highway map of Utah. We'd actually been incredibly close to the swell when we were visiting Goblin Valley State Park on day four of our trip. If we'd traveled north from the state park to I-70 on our way to Moab we definitely would have started noticing the strange features of the swell. However, we'd traveled south and so had missed seeing most of the swell. The first time I ever noticed the swell was in 2012 when my husband and I were driving down to Moab for a weekend trip. 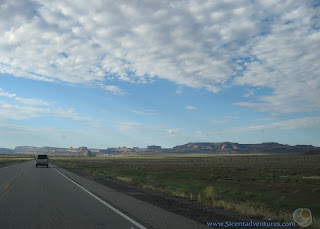 As we drove south from Price to Green River we noticed strangely shaped mountains to the southwest. Neither of us knew what they were. My map was no help, but one of the brochures we'd picked up earlier in the trip mentioned the San Rafael Swell. I'd heard of the swell before in my college geology class, but I'd always associated it primarily with the area around Capitol Reef National Park. I never realized it reached north past I-70. Neither of us had ever driven on the part of I-70 that went through the swell. According to our unofficial vacation rules we felt we should travel on a road that we'd never driven on before. So after our weekend in Moab we decided to go home through the swell via I-70 instead of travelling the way we had come on Highway 191. Even before we reached the swell, things got interesting. The road dropped sharply through a cut in some large bluffs. We could see the cliffs of the San Rafael Reef in front of us. We stopped for a quick hike in Black Dragon Canyon. Then we got back on the interstate and continued travelling west. Before we went too far, we stopped to use the vault toilets at the view area just outside the swell. The signs near the parking lot gave us a lot of information about the swell. This is where we learned that aside from some ranch roads, and some uranium mine roads, the swell had virtually been impassible until I-70 was built in the 1970's. 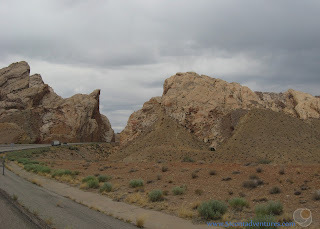 The signs also told us that we were about to pass through what was known as the San Rafael Reef. The reef stretched out in front of us like a giant wall. Black Dragon Canyon was one of the many canyons in the reef. You can barely see the canyon as a dark streak in the middle of this picture. We got back in the car and started driving through the reef and into the swell. I'm not sure if I've ever driven on an interstate that had as many crazy turns as I-70 had to make to pass through the swell. This was definitely wild land where even the massive interstate had to yield. Looking back through the reef I was surprised by how much the road had climbed. The road wound through the swell for several miles. I didn't take many pictures, but that doesn't mean it wasn't interesting. Mostly I was just in awe of the scenery. I thought I'd seen everything that Utah had to offer during our 9 days we spent on our southern Utah road trip, but I was beginning to feel like there was a whole other part of the state that I'd only just begun to discover. We emerged from the swell into Castle Valley (not to be confused with the Castle Valley near Moab.) This is another area that I felt like we'd completely missed out on during our Southern Utah Road trip. Unfortunately, we didn't have time to stop. We continued on to Salt Lake where our three kids and reality were waiting for us. 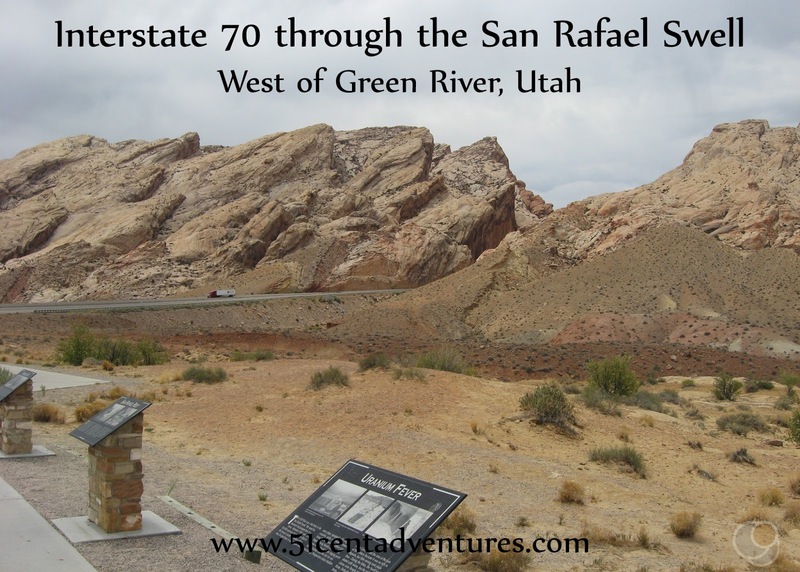 Unfortunately, we've never made it back to the San Rafael Swell. Within a few months my husband joined the Army. and we've spent the last three years living in Texas and Alabama. 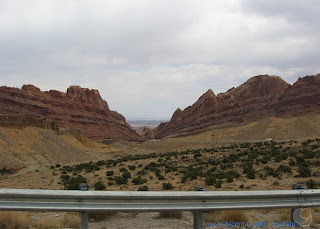 We have gone back to Utah a few times to visit family, but there has never been time for sightseeing in Central Utah. In preparation for this post I made a list of places I would like to see when I eventually make it back to Central Utah. This is by no means a comprehensive list of all the features inside the swell, but it is a good start. You'll probably want to reference the map on the second page of the San Rafael brochure as I talk about these places. Also I used many websites as I researched these places, but I would have been very lost if it hadn't been for www.takemytrip.com. 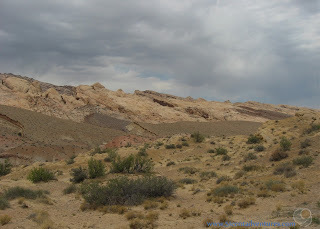 I highly recommend you check out that website for pictures and more details about the wonders of the San Rafael Swell. If you take Ranch Exit 129 from I-70 and travel north you will eventually come to the San Rafael Bridge and Swinging Bridge. When I first heard the names of these bridges I assumed they were natural bridge made from sandstone. But after actually reading about them I learned they are man made bridges that span the San Rafael River. Swinging Bridge is a historic suspension bridge that was built in 1937. It's no longer used for vehicle traffic because it was replaced by the current concrete bridge in the 1990's. There are some campsites located near the San Rafael River. According to the BLM website there are tent pads, picnic tables, toilets, and fire rings available. There is not any drinking water available. Reservations are not taken for these campsites. Buckhorn Wash Road travels through Buckhorn Draw which is a long canyon with steep walls. There's a little bit of everything in this canyon. The most famous features of this canyon are the pictographs and petroglyphs. Parts of the canyon were once hideouts for outlaws. Dinosaur foot prints have been found in this canyon. There are also some man made tunnels known as the MK Tunnels. These tunnels were dug during the 1940's on orders of the Department of Defense. If I had to pick just one place to visit inside of the San Rafael Swell I would pick the Wedge Overlook. This overlook is on the edge of a cliff above a deep canyon that the San Rafael River has cut between the ridges and cliffs of the swell. From what I've read, this is apparently known as the Little Grand Canyon of Utah, though I have to say that I've never heard anyone in Utah talk about it. The pictures I've seen of this overlook are spectacular. Take My Trip.com has a detailed description of the Wedge Overlook. I highly recommend you check it out. The Wedge Overlook is about 40 miles north of I-70 or 20 miles east of the town of Castle Dale. There are toilet facilities (I'm guessing of the vault toilet kind) and there are even some limited camping sites available. This overlook reaches a height of 7,664 feet above sea level. (For comparisons sake, Delicate Arch is located at 4800 feet, Dead Horse Point is at 5900 feet, the Grand Overlook at Canyonlands is at 6000 feet, Rainbow point in Bryce Canyon is over 9100 feet, and Angel's Landing is at 5790 feet above sea level.) There are picnic areas and toilets located at this overlook. This overlook is located to the northeast of the Wedge Overlook, but I wouldn't say they are near each other. From the Wedge you have to travel north and then south east to reach the Cedar Mountain Overlook. There are many interesting things to do south of I-70 as well. However, many of them require hiking or riding an ATV. My list includes just the things that you could visit with a regular vehicle. The Head of Sinbad area promises camping, hiking, and exploring. The head of Sinbad Pictograph Panel is located in this area. Access this area by turning south at Ranch Exit 129 from I-70. Before the interstate, and before the Uranium mines, the San Rafael Swell was cattle ranching land. The Swasey family lived in the the area. The Swasey brother's are responsible for naming many of the features in the swell. The cabin is located about 10 miles from the interstate. These are two canyons that are located near Goblin Valley. They are popular hiking canyons. I remember seeing Temple Mountain from the road as we traveled to Goblin Valley. It really does look like an LDS temple. 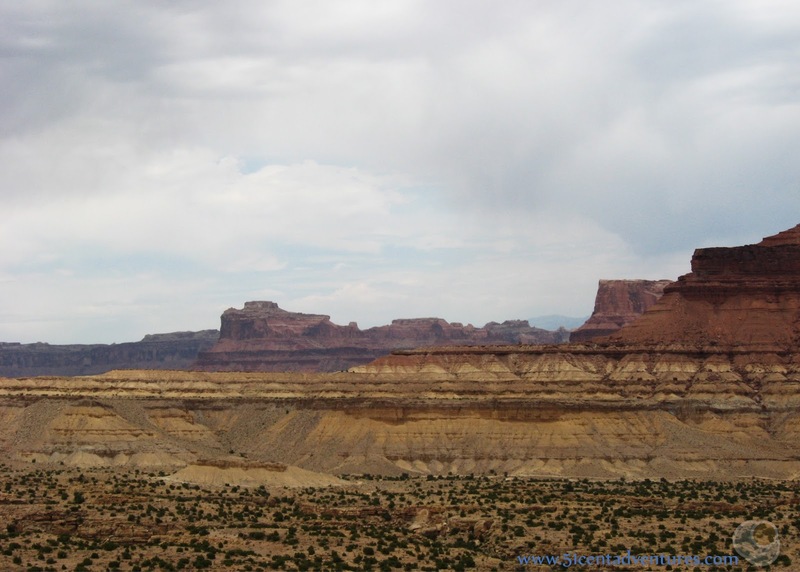 It is 6773 feet above sea level which makes it the highest feature in the San Rafael Swell. When I first saw Temple Mountain I wasn't sure if we could go near it. But now I know that it is a popular place for hiking and exploring. 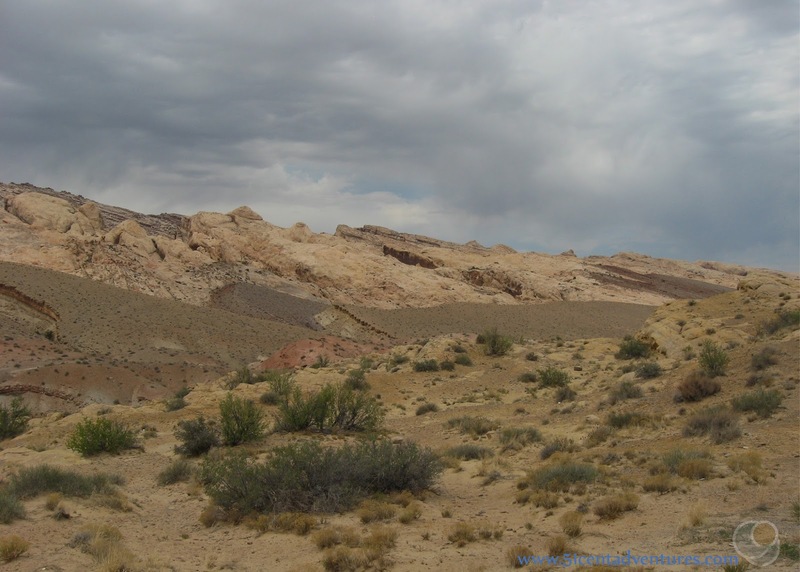 Hopefully this list gets you excited about the San Rafael Swell. Researching this post has made me remember how much I want to go back and explore that area. It's odd, but in a way I feel like it's calling to me. I really hope to get back there within the next few years. Recommendation: It's a shame that more people don't know about the swell, but maybe it's also a blessing. The area can be explored and appreciated without crowds of people. 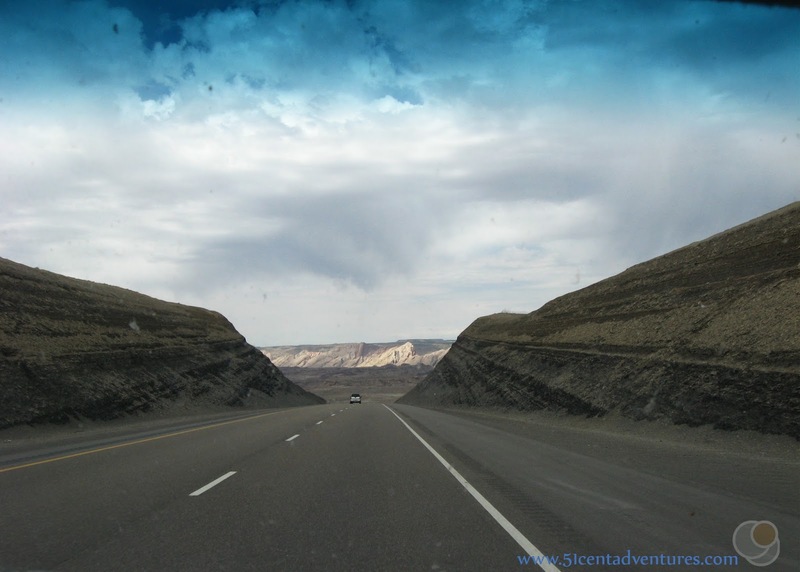 Even if you are just passing through on I-70 you will have an enjoyable time. But I hope that you also want to go see what is waiting for you down the dirt roads. Like I've said all through this post, I-70 is the only paved road through the San Rafael Swell. In most cases you will travel on the interstate before exiting to the dirt roads. However, there are roads that lead into the swell from other places besides I-70. If you are planning to travel on any of the back roads make sure you have a good paper map of the area. Don't count on your GPS to have service or to even know where you are. Also from what I've read, most of the roads don't have signs. So you'll have trouble knowing the name of the road you are travelling on. Places Nearby: There are many other places near the swell that I would like to visit. They include: The Cleveland Lloyd Dinosaur Quarry south of Price, The College of Eastern Utah Pre-historic Museum in Price, the Rochester Rock Art Panel near the town of Emery, and the Museum of the San Rafael Swell in Castle Dale. And really lets just face it, I need to plan a road trip to primarily to Central Utah because there that area has a lot of cool stuff that I've never even heard of until recently. Next Stop: Thanks for indulging me on this little alternate route segment of my Southern Utah Roadtrip. In the next post we'll go back to the real route and travel on Colorado State Highway 139 (Douglas Pass Road) through Colorado to get to Vernal Utah.